Almost a whole year has gone by since returning to San Antonio and already, I will be returning in a couple weeks. This last time however, I wanted to take another ghost tour, a different one than I had before and so I had called up Alamo City Tours as I really wanted to take the Mission Trail tour and/or one that was publicized for the cemetary. But, as I spoke of in my review of the Alamo City Tours, they do not have them for small handfuls of people, only for bus tours. San Antonio is one of my favorite places to visit as my hero, Jim Bowie, died there at the Alamo in 1836 while fighting the Mexican Army along with William Barrett Travis and the famous Davy Crockett. The Alamo itself is kept up by the Daughters of the Republic of Texas and it is definitely worth going into to see. The mission and the surrounding courtyard is said to be haunted and there have been sightings of ghostly apparitions. 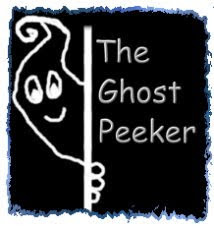 Please don't be fooled by that other 'ghost hunt' tour group however who call out for a ghost to appear by getting you to flirt with them. It was just way too hokey to believe and to have a ghost come out on command like that every time....it just too farfetched for me. I preferred the Alamo City Tours as it was chocked full of great history. The only thing was that they used dowsing rods and well....I am not a big believer with using that tool and you have to be careful about those types of devices. For my own experiences, whenever I go inside the Alamo mission itself and stand in the center where there is a plaque on the floor, I always seem to feel something at that spot. I become overwhelmed with sadness and a few times I have even had tears stream down my face. It could be just because of the significance of the place to me and how close I hold it to my heart, but I feel like there is a bit of energy just lingering right there. I don't want to say vortex but just a whirl of energy I can usually feel. Unfortunately, you can't go in there alone to investigate. The shrine itself is never in the dark and no building built around it may cast a shadow upon the mission, in honor of those who have died there. There is also a monument just out at the courtyard, depicting those brave men who fought there. I stayed at the Hotel Indigo at the Alamo as my work was there giving a course. The Hotel Indigo is part of the Holiday Inn chain and there are two of them in San Antonio. We stayed at the one that is across diagonally from the Alamo itself, in what was known as the historic Gibbs building. This is located where the north wall once was of the Alamo complex and during renovations, some of the workers experienced alot of strange things. In the basement, they found a cannon that dates back to that time period. It is no longer there however but it is said the basement that now houses the gym and conference rooms, is haunted. I asked permission to conduct a small investigation down there and I took my ghost meter and KII down there as well as my recorder, laser grid and the Shack Hack. I heard alot of stories about some of the staff feeling really creeped out whenever they go down there and after doing an initial scan, I found that there are areas down there that are a hotbed of very high, off the chart, EMFs! There is one area down by the bathroom and well into the ladies room as well as by the laundry and of course where the power/utility room is at that is just screamin off the meters! Anyone spending any long periods of time may very well experience feelings of paranoia or that someone is watching you. I could sense something odd about the layout but when I used the meters, it was just wild. I did manage to go into one conference room that had this tile on the ceiling and I soon realized that I was below the street. I could see and hear people walking just above me and almost see them thru the clear glass blocks. I was well away from the EMF hotbox and I used the laser grid that soon got drained. I was starting to wonder if something is wrong with my laser as the batteries seem to get drained very easily. I thought I saw a shadow at the far end of the room at one point, it was fleeting however and just for a moment. It could very well have been a trick of the eye or mind matrixing. Another haunted area was told to me of the elevators that will sometime open and close on their own. Odd things about the elevator and it is very old and set up in a strange way. Hard to explain until you see them. But I didn't experience anything odd with that. I did go up onto the 2nd floor which also has a few of the staff feeling weird. There are some EMFs up there too but nothing like the basement. I did feel very odd in some areas of the hotel as the layout is not exact and there are corner rooms that have weird sort of ways to get to the door, narrowing halls and just weird. We got lucky to get a corner room, way up on a higher floor and it faced towards the Alamo. This was on the side of the hotel that was the main entrance. We did catch an orb in a photo in the living room section of the room that appeared near my leg and I am not sure exactly what it is. We did not see it with the naked eye, only with the camera. It doesn't seem to be dust to me nor a bug? Take a peek and maybe you can see what it might be or if I am wrong? Hmm maybe a bug?? Just odd as it was not there in the successive pics before or after, only in this one and I didn't feel anything odd. One of the most strangest things that did happen while I was there was at about 3 am or so, we were woken up by what sounded like someone running down and then up a fire escape outside the window, that metal tapping. I figured it was that or maybe it was hitting the side of the building in the wind but no wind. It seemed to almost shake the room and made me get up to look outside the window. There was no fire escape. Later, the trash truck came by and we saw them emptying the dumpsters out and banging around with them tho' this sound was not the same? I am not sure if it was the trashmen or not? It was bizarre. I even made sure there was no fire escape when we went outside later in the morning. Nope. I am chalking it up to the trashmen however as the sounds were similiar but again, not 100% as we were not there long enough for the trash pickup again. See? No fire escapes on either side of our room. The Post Office across the street is also said to be haunted and was currently under renovations and we could not go over there. People have reported seeing apparitions there as well. The Emily Morgan Hotel, where I had stayed before was just beyond the post office and that too, has haunted floors and the basement used to be a morgue when it was a hospital. Please check out the Alamo City Ghost Tour Blog Post about the tour that I took. The riverwalk is always one of my favorites and I love to go strolling along there in April as it is one of the best months for it. My favorite Irish Pub on the riverwalk is Waxy O'Connor's and they have the best Irish Stew! I love to sit out in their patio and watch the people along the riverwalk, both walking and in the ferry boats getting tours. If you have not done the ferry tour, please do! They were fun and informative and lets you see the riverwalk from a whole other perspective! I did pick up a book at the Hotel Indigo about the Alamo. I have a ton of information collected over the years about the Alamo, Jim Bowie and San Antonio. This book, 13 The Alamo Book of Days, is nicely illustrated account and interpretation of the 13 days of Glory, the 13 days the Alamo and her defenders stood in defiance of tyranny is well done. My only issues are some of the intepretations of the defender's thoughts and some of their actions as it would be most difficult to really know for sure what it was that was said or done beyond the correspondence that was preserved. An interesting chronological history of the mission itself can be found here: Alamo History. Friends took me to nearby San Antonio Sea World and we had a really great time! It was a great trip! So our stay at the Indigo Alamo was interesting. My husband slept like a baby but I don't think I slept. I thought this was a new building obviously I did not do my homework as a knew of a couple that are haunted. When I walk into the hotel, it seemed normal but then I notice the architect n how nice it was. I got a 50's feel for it. Went out for a while, came back, went to bed, n then I was awoken by cart noises in the hall a constant roll though, then woke again hearing some knocks, I thought it was my hubby but he doesn't recall. N the strangest, I dreamt that these 2 ladies dressed in business suits 50's look, (red orange with yellow accents)were trying to get into our room, one of them did but the other stayed at the door. The one that came in wanted to sit on the bed by my husband but I told her to go away. She smiled n said she was just playing around. I am an optimist n don't like the negative so even though this is a beautiful place, I don't think I'll be staying here again. Wow...that sounds wild Bluebird, especially with your dream you had there. :) I'd still stay there as I didn't feel anything negative myself and it is so conveniently located. But yes, the history of the building is quite old and is sitting where part of the complex with the Alamo used to be. Didn't have the nerve to read this until now. I was really freaked out n won't be retuning to that hotel. Although it was beautiful. My hubby is not a big believer of such things but after he saw my reaction n even when we got home. I think he's on my side now. I have a pic of a neighborhood we visited a few yrs back. Looks like a friendly ghost...lol! If there's such a thing. I would like for u to see it. Where can I send it to u. I usually claim that I don't see or hear anything ghostly. God as my witness... I don't want to. Feel free to send it to my email, Bluebird, ghostpeeker@hotmail.com I'd love to take a look tho' it is hard to tell in some photos with not being there and seeing the lighting or knowing the area you took it etc etc. Was it the Emily Morgan you had stayed or the Hotel Indigo? There are friendly spirits, in fact there are spirits all around us all the time. Those perhaps of your family or guides or those who watch over you. We may not realize it or know of it but they are there. I used to not really experience anything at all, even when starting out investigating the paranormal field. I used to think it was because I was too protected. But the more and more I got involved, little by little, things started happening and I began to have experiences. :) Nothing bad, I've always had nice encounters for the most part. Worst thing was feeling a single pin prick in my knee poking me over and over again. Didn't really hurt, it was just odd and annoying and I asked it to stop and it did.